Casey Bartsch, PTA, ATC, joined the Hertel & Brown team in 2016 after earning her Physical Therapist Assistant (PTA) degree from Kent State University. She began working at the H & B Summit location in 2017. 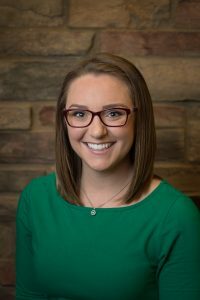 Prior to PTA school, she graduated with a Bachelor of Science in Athletic Training from Wheeling Jesuit University in 2013, and then furthered her education with a Master of Science, also in Athletic Training, from California University Pennsylvania in 2014. She worked as an athletic trainer in the orthotic & prosthetic field for two years. Her areas of interest include post-concussion care, balance & vestibular rehabilitation, and sports injuries.